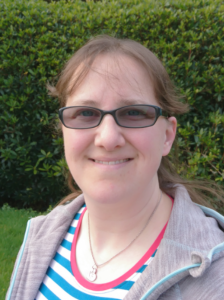 Emma Ede trained as a Primary Teacher with a specialism in Geography. After teaching for 11 years, she was asked to teach music across the school. Research led her to finding out about the Kodály approach, and Emma completed the BKA level 1 certificate course in 2014. She now teaches 350 pupils a week, from ages 4-11. She produces large scale productions for local schools, and is currently working on Annie Jr. with her Y6s. Emma teaches across the primary sector, working alongside Sheffield Music Hub to deliver workshops in using songs to teach the music curriculum. She also runs a successful choir who were selected to perform as part of the Music for Youth National Festival in 2018. Emma loves finding new ways to engage pupils in music, including adapting traditional teaching technology to fit a Kodály classroom.